Item # 302073 Stash Points: 2,799 (?) This is the number of points you get in The Zumiez Stash for purchasing this item. Stash points are redeemable for exclusive rewards only available to Zumiez Stash members. To redeem your points check out the rewards catalog on thestash.zumiez.com. 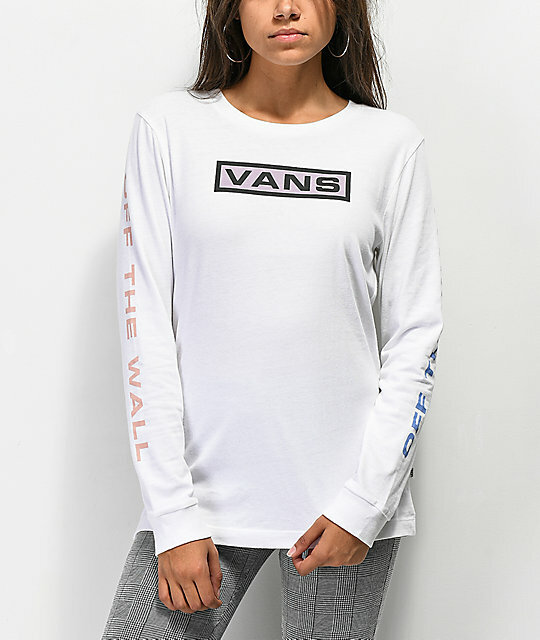 The New Flag white long sleeve t-shirt from Vans offers a classic fit with iconic detailing from the brand that has been keeping it real for over fifty years. 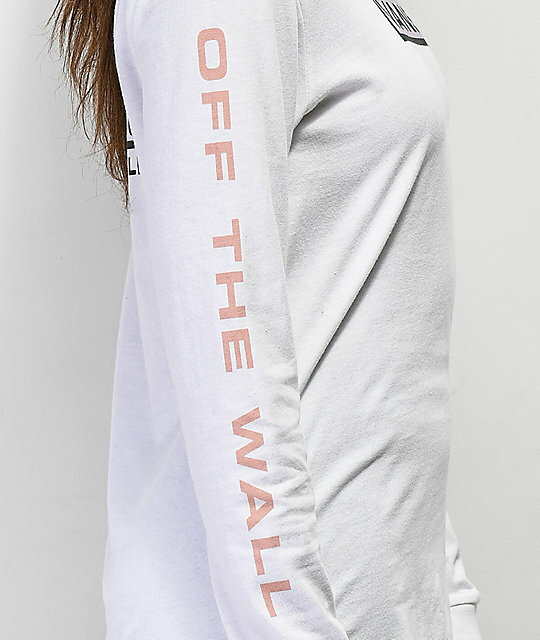 This crew neck tee comes with a 100% cotton construction for a breathable fit and is finished with "Vans" and "Off The Wall" logo graphics screen printed across the chest, down both sleeves and across the back. 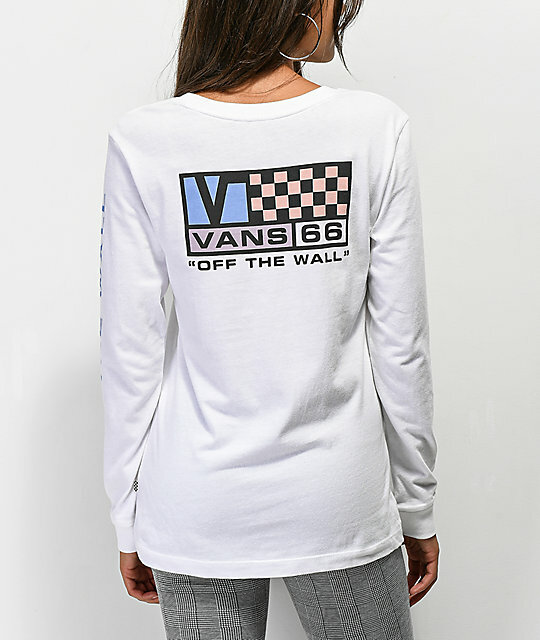 New Flag White Long Sleeve T-Shirt from Vans. 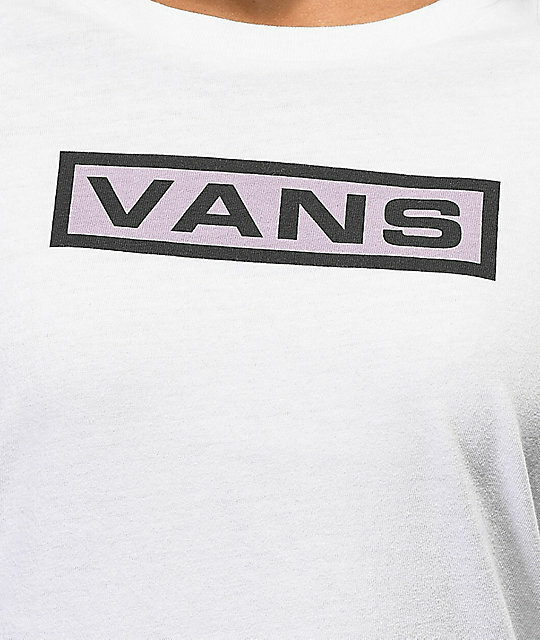 Vans logo graphics screen printed on the chest, down both sleeves and on the back.